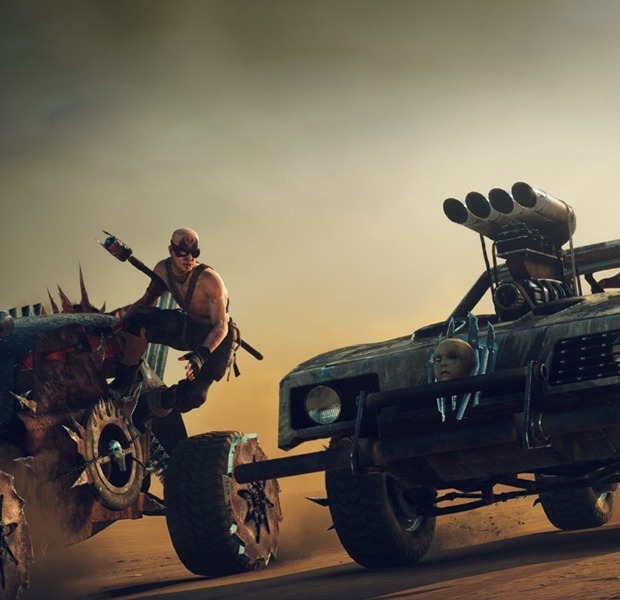 From Mad Max and Batman: Arkham Knight to Dropsy and Absolute Drift, here are the upcoming game releases that will keep you indoors all summer. Memorial Day has passed, and summertime is upon us. We can now comfortably participate in all the summertime rituals: White pants, putting a slip-and-slide in our Amazon cart and leaving it there for a couple of months, listening to Mungo Jerry's classic "In the Summertime" until we lose any concept of what we ever did without it. Luckily, none of the major summer activities are very time-consuming, so we'll all surely have plenty of time to play these new video games. Sitting somewhere near the nexus of 80 Days, Don't Starve (check out the protagonist's steadily thickening beard), and the Fallout series, 60 Seconds puts you in the shoes of Ted, a family man forced to rapidly gather supplies and weather the nuclear apocalypse. Each day, he'll have to make difficult decisions regarding conserving supplies, maintaining sanity, and sending his geeky teenage son out on reconnaissance runs instead of going himself. Play as a housecat. Live a housecat's life. Live the housecat's dream of knocking everything over and avoiding your owner, at locations such as the "mewseum" and the "supermarkat." Catlateral Damage provides a rich and thorough simulation of a cat's mind, right down to the fact that I imagine knocking over an entire T-Rex skeleton to be the feline equivalent of winning the Super Bowl. Penarium stars Willy, a hapless farm boy trapped in a bloodthirsty circus where he's forced to run, jump, and dodge environmental hazards before a crowd that's cheering for his head. (Somehow, Penarium successfully plays this for laughs.) With its frantic action and loads of ways to lead poor Willy to an early grave, this promises to tide enthusiasts of platform-based masochism over until the leaves start changing. DGU, it turns out, stands for "Death God University." A promising start, certainly, and one that's made sweeter by containing a romp through a sort of Grim Reaper rather than relentless brutality. Students at "DGU" are graded on scenarios where they have to cause the elaborate deaths of members of the public. As the player, you guide the students through their studies with a 3-D puzzle-based approach that looks to resemble Psychonauts' form (minus the platforming) as much as it resembles its content. "There is a sacred mountain called Absolute Drift, a place only legendary drifters can get to," begins Funselektor Labs' pitch, and suddenly sacred mountains and legendary drifting have rocketed towards the top of my list of priorities. Glide and do donuts around elegantly minimalist, geometric landscapes with loose, satisfying physics that bring Luftrausers to mind. I bet it was really hard for Drift's designers to avoid including the phrase "Tokyo Drift." Her Story's focal point is a series of interviews conducted with a woman about her missing husband. By cross-referencing her statements with a police database, the player can slowly piece together the story of what actually happened. If that didn't already sound plenty compelling, this is the first solo work by Sam Barlow, the lead designer of Silent Hill: Shattered Memories. While Her Story seems too realistic for Silent Hill's inverse nightmare worlds, Barlow's expertise with the slippery nature of psychology and truth is clear. The latest (and probably greatest) flurry of Batman games comes to a close with Arkham Knight. It's hard to imagine this game being anything but more of the same, but the Arkham series has never shied away from making show stopping narrative moves within the Batman canon, so it feels safe to assume its finale will wrap things up in grand fashion. Also, this is probably society's last chance to get a current-gen Batman game without that terrible Jared Leto Joker, so we might as well get our kicks in while we can. Walk around a surreal, Day-Glo pixel art world as a terrifying clown with no hands whose primary method of interacting with his surroundings is hugging. There's not much additional information about Dropsy online at the moment but, luckily for Tendershoot, that premise alone is enough. Brimstone is the story of Valerie Bennett, a "traverser" who is able to travel between the upper and lower echelons of Brimstone, her dystopic hometown. The quality of life in the upper echelon is so high that its wealthy residents are surely hiding something in order to maintain their grip on power. What might they be hiding? What can Valerie do to restore equality? Find out all this and more in this game that's basically a documentary about 20 years into the future. If you're someone who cares about video games and some less-interested folks at a summer BBQ ask what's been going on with your hobby, don't try to explain what a "Witcher" is. Instead, tell them there's a game coming out that lets you make your own 2-D Mario levels, and savor a rare moment where virtually everyone can agree that the world is about to get a tiny bit better. Feigning outrage at friends who haven't seen Mad Max: Fury Road is already one of the best parts of the summer, but it's only late May; what happens once everyone has inevitably checked it out? Might as well keep the party going by lording over those who haven't played the video game, which promises a mixture of vehicular combat and Batman: Arkham-style "punching a bunch of guys at once, then spinning around and punching those other guys." Some have bristled at the similarity, but Batman and Max are both tight-lipped dudes constantly fighting unhinged, pale-faced enemies in order to avenge their families and keep their own demons at bay; they might as well share a fighting style, too. As if the appearance of the first full-bore Metal Gear Solid title in seven years wasn't enough, it seems as though this game will mark the end of Hideo Kojima's partnership with Konami and, thus, his involvement with the series. Like the other (stone classic) Metal Gear Solids, this one will surely feature an aging soldier dealing with memories, mortality, and regret while moving forward on the only thing he ever knew how to do. Despite his missteps over the last couple years, I imagine these themes hit home for Kojima a little more than usual this time around, and it's hard to imagine him doing anything besides swinging for the fences with MGS5. The long-awaited video game adaptation of the award-winning cult classic comic book, The Interactive Adventures of Dog Mendonça and Pizzaboy combines jokey b-movie science fiction tropes with film-noir and point-and-click gameplay. Imagine, for example, if Sam and Max took itself a couple of clicks more seriously, or if people besides me and maybe five other people had played the lost classic that was the Callahan's Crosstime Saloon game.